It isn’t so much that a character is difficult to write, it’s more like they are hard to get to know. As authors the characters we write become people that are as real as you and me. The words writers put in books give those characters life. And sometimes we only get glimpses into the nuances and personalities that make up a character. This is what can make them hard to put to paper. Thus far I’ve only had this difficulty with one individual character, Gervasio Rodriguez. He is the villain in Bella Kynaston’s story. 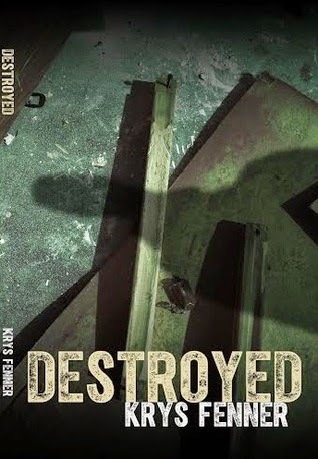 His first appearance is in Destroyed, book one in the Dark Road series. From the beginning, I knew he was dark and deranged. I just had no clue how far down the beaten path he would take me. At least not until the completion of Destroyed. My first clue should’ve been when I attempted to interview him. I’ve come to find this is a great way to learn about the characters an author creates. Needless to say he answered my questions without giving me anything to work with. Gervasio Rodriguez speaks in riddles and does his best to convince you of his innocence. Sadly, it works way more than I think it should. This was part of what made him so hard to write. I had to find ways to hide and reveal his foulness simultaneously. I’m no Stephen King or Dean Koontz, but I felt like with a little bit of guidance from the character himself I could portray him well. Easier said than done. It took a lot of coaxing to give him the right amount of time in the book and to write him perfectly. What I found I had to do was reflect on all the awful things he intended to do and put myself into his mind frame. I never imagined a character could make me feel so dirty and satisfied at the same time, but Gervasio did. Each scene I successfully completed for him made me ecstatic, even though I hated where the story would eventually lead. In the end, I knew what I was writing and my reasons for finishing the work were extremely important. Although Gervasio took my brain to places I never expected I’d ever go, I believe it was worth the outcome. I look forward to the challenges I anticipate he will continue to present me with.